Surprisingly, the Android Apps weren’t nearly as plentiful as the iPhone’s or even as snazzy as some of my BlackBerry favorites. Still, it served up emails instantly, was lightning fast and its wireless coverage was impressive. Favorite feature: Aside from its addicting speed, my favorite feature was the 8-megapixel camera, complete with autofocus, video capture and built in editing software. In fact, I found myself chosing the phone over a digital point-and-shoot due to its WiFi connectivity and social media features that allowed me to snap and share immediately without a noticeable loss in image quality. Not-so-favorite feature: It could be because it was so easy to surf the web that I was using the Incredible more, or the fact that I often had multiple apps open and running concurrently, but I couldn’t make it through an entire day on a single battery charge like I can with the BlackBerry. That surprised me. Bottom Line: The biggest downside to the Incredible, however, is that unlike my BlackBerry it isn’t a global phone, meaning I can’t travel and use it overseas. For me, and doubtless other globetrotters, that’s a deal breaker. But for those who will use it only in the U.S., the Incredible offers a fun, fast and powerful Verizon alternative to the iPhone. Also available at The Travel Store at EllenBarone.com powered by Amazon. 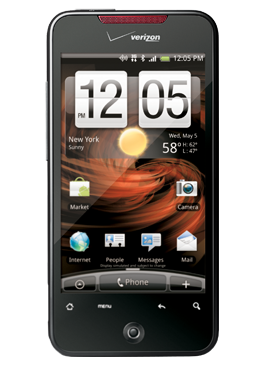 Global travelers will be glad to learn that the HTC Incredible 2 (released April 2011) is now a “global-ready Android smartphone,” which allows customers to use voice and data service in more than 200 countries.